The latest Featured Milago Condos will are shown below. Get in touch to find out more about any of the units you see here. Interested in featuring your condo? Bryan and his team and how they can help you sell you find a buyer more efficiently. Find out more and then schedule a time to sit down and talk it over. COMING SOON! 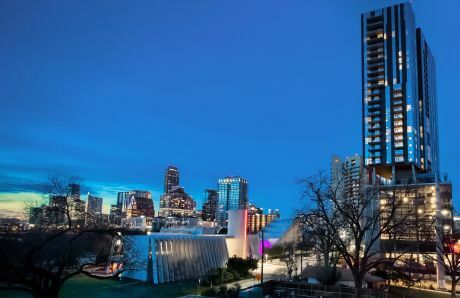 Premium Corner Unit with City Views of Downtown Austin from the 5th floor of the award-winning Milago Condominiums. 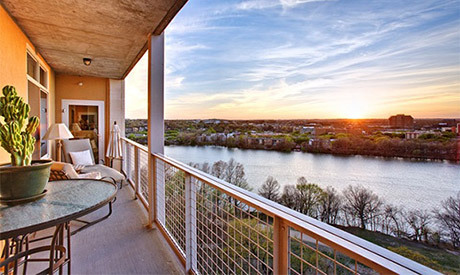 Walk to Four Seasons in 5 minutes directly from the world-renowned Lady Bird Lake Hike-and-Bike Trail. Exclusive corner unit home includes upgraded solar shades and two RSVP parking spaces in the limited-access garage. Brand new wood floors throughout, Granite countertops, Stainless steel appliances. Amenities inc. 24/7 Concierge, Rooftop terrace w/ pool and hot tub, Exercise facility overlooking Hike-and-Bike Trail, Club Room, WiFi lounge and two additional terraces on 1st and 3rd floors.